Owner financing. 20% down. 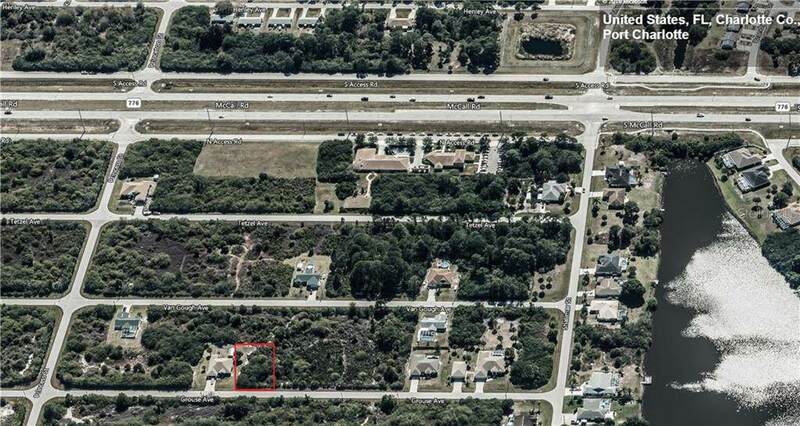 Build your dream home on this Englewood vacant lot. Not in scrub jay according to Charlotte County site. Located next to towards the west of 12039 GROUSE. Listing provided courtesy of Club Realty. © 2019 My Florida Regional Multiple Listing Service, Inc. All rights reserved. All listings displayed pursuant to IDX. All listing information is deemed reliable but not guaranteed and should be independently verified through personal inspection by appropriate professionals. Listings displayed on this website may be subject to prior sale or removal from sale; availability of any listing should always be independently verified. Listing information is provided for consumers personal, non-commercial use, solely to identify potential properties for potential purchase; all other use is strictly prohibited and may violate relevant federal and state law. Data last updated 2019-04-19T07:41:19.86. © 2019 Citrus County Association of Realtors. All rights reserved. Based on information from the Contra Costa Association of REALTORS® MLS as of 2019-04-19T07:54:40.947. All data, including all measurements and calculations of area, is obtained from various sources and has not been, and will not be, verified by broker or MLS. All information should be independently reviewed and verified for accuracy. Properties may or may not be listed by the office/agent presenting the information. IDX information is provided exclusively for consumers' personal, non-commercial use and may not be used for any purpose other than to identify prospective properties consumers may be interested in purchasing. © 2019 Hernando County Association of Realtors. All rights reserved. IDX information is provided exclusively for consumers' personal, non-commercial use and may not be used for any purpose other than to identify prospective properties consumers may be interested in purchasing. Information is deemed reliable but is not guaranteed accurate by the MLS or Team 54 of Re/Max Champions. Data last updated: 2019-04-19T07:24:05.197.